The celebrations for the centenary of Lafayette squadron provided an interesting intercept opportunity. The Lafayette Escadrille is one of the most famous U.S. squadron to operate in France before and during WWI. It was formed on April 20, 1916 by 38 U.S. volunteer pilots who flew under French command a year before the U.S. entered into the conflict. A memorial celebrates not only the 38 original pilots of the Lafayette Escadrille, but all 269 American pilots who flew with the French Air Force as part of the larger Lafayette Flying Corps, 68 of whom were killed during the war and are interred at the memorial crypt. During the ceremony held at the Lafayette Escadrille Memorial in Marnes-la-Coquette, France, on Apr. 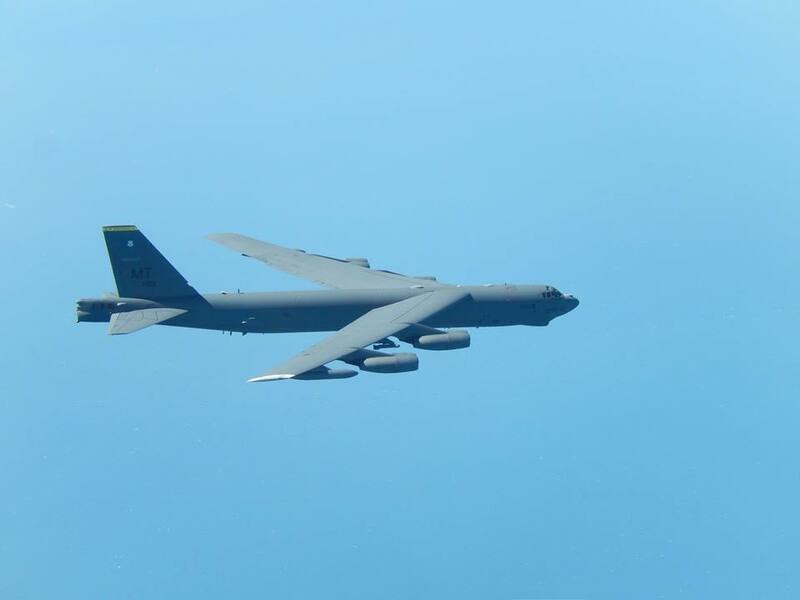 20, to celebrate the 100th anniversary of the squadron’s formation, one B-52, four F-22 Raptor fighters (from their deployment base at RAF Lakenheath), three FAF Mirage 2000Ns, one FAF Rafale and a World War I-era Stearman PT-17 biplane performed flyovers during the ceremony commemorating the 100th anniversary of the Layfette Escadrille’s formation. 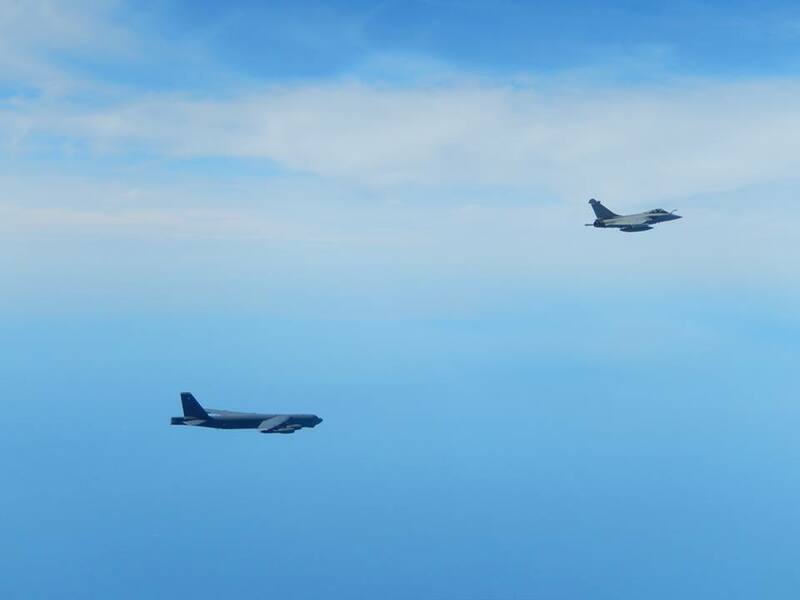 Interestingly, the (somehow) rare flight of the B-52 strategic bomber inside the French airspace provided an interesting opportunity to the French Air Force Rafale that practiced an interception on the Stratofortress and took some cool air-to-air images (as happened last year when Dutch F-16s intercepted and escorted a “Buff” involved in a round-trip mission from Barksdale AFB to the Arctic and North Sea regions respectively).